Herbivorous fish play an important role in structuring benthic communities by influencing the distribution and composition of algal assemblages in coral reef systems. The distribution of herbivorous fish is often driven by the interaction between the ecological and physiological capacities of the fish, as well as by physical attributes related to habitat characteristics. In Mexico, information on the condition of herbivorous fish populations is limited to fringing reefs in the Mexican Caribbean. This study evaluated the composition and structure of the surgeonfish and parrotfish at two depths on the leeward and windward sides of the reef in the south of the Parque Nacional Arrecife Alacranes, Southern Gulf of Mexico. 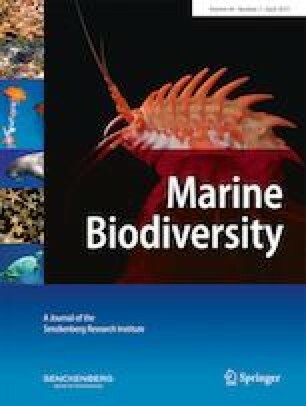 Results revealed a robust and healthy herbivorous fish assemblage in terms of species richness, with high abundance and sizes up to 40% larger than the species reported in the Caribbean. The herbivorous fish abundance and biomass distribution were related to coral, bare substratum, coralline algae, turf, and rugosity. However, other physical or abiotic variables (e.g., wave intensity, sedimentation, and light penetration) could be playing an important complementary role of similar or greater importance, and could potentially influence the distribution of the herbivorous fish abundance and biomass. This study contributes to the knowledge of the composition and structure of the herbivorous fish assemblages in a reef system (Alacranes reef) with limited human access. The first author acknowledges the PhD scholarship awarded on behalf of CONACyT: Estancias Posdoctorales Vinculadas al Fortalecimiento de la Calidad del Posgrado Nacional, 2015 (1) and 2016 (2), and the Posgrado Institucional en Ciencias Agropecuarias y Manejo de Recursos Naturales Tropicales of the UADY, where the postdoctoral research was carried out. We thank the Parque Nacional Arrecife Alacranes and the park wardens, in particular captain Ignacio Sobrino. Thanks also to MSc Luis Quijano Puerto for support in the field, and to the anonymous reviewers of this manuscript.